Intentional Parents need to write out a plan to be effective! Each workbook includes a code for participants to stream videos featuring Doug and Cathy Fields teaching and practical advice. Every parent has dreams for their children. As parents we all start out with the best intentions, but at some point we move from DREAMS to DUCT TAPE and hope that each day everything will just stick together. Without a plan parents usually default to quick-fix parenting. It’s easier to focus on immediate problems rather than deal with the deeper and more important ones. Our dreams become a memory in our daily fight for survival. 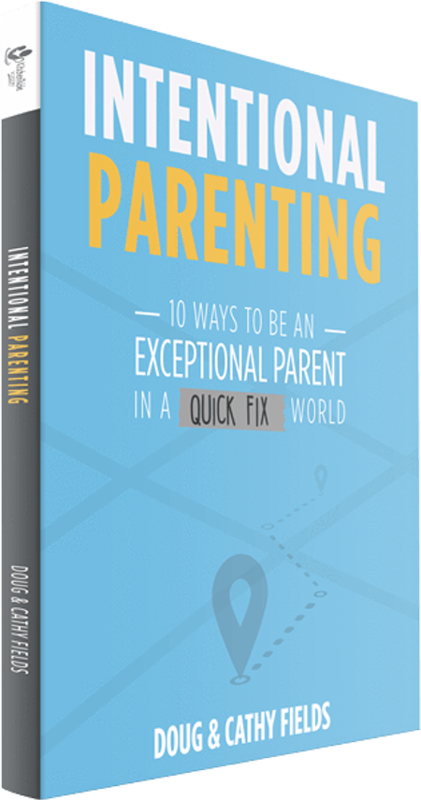 To be an exceptional parent become an intentional parent. You need a plan. And you can do it! Believe it or not, you are still the most influential person in your child’s life! Whether you are married or a single parent, build your intentional parenting plan with those who know you best. Start your own group! It’s a fun series! You’ll learn from the experiences of others who face the same challenges that you do. Encourage the leadership of your group to try our five week course. Free downloadable discussion guides are available. © The ReThink Group. All Rights Reserved.